PLEASE use a LOCAL Lender! Please….PLEASE use a LOCAL Lender! OK- Full disclosure, I’m not a lender, and I’m not in the mortgage industry. And no- I did not stay in a Holiday Inn Express last night. However, as a Realtor, I work with lenders nearly every day. You can’t hardly turn on the TV or Radio without hearing a commercial for one of those big national lenders. I won’t call them out by name, but they can be Quick like a Rocket (so they claim). Other huge National banks will tout their mortgage programs, as well as some of the largest National insurance companies. In general, it’s not that there is anything inherently wrong with these companies. In fact, in my experience, 80% of the time, everything rocks along and goes fine. Everything closes on time and we all walk away happy. It’s the 20% of the time when all is NOT well that you want a local lender. OK; not as clever as a nursery rhyme, but when you use a local lender, you get a name- not an extension. Most of the time you will meet your local lender in person early in the transaction to get pre-approvals in place and review your credit. Need something, or have a question after hours or weekends? A good local lender will likely provide you a cell phone number where they can be reached at most all times. Chances are a National lender is not going to know about all the local loan programs available. Did you know there are special loan programs for homes in areas impacted by tornados? What about bridge loans, recasts, re-hab loans, investment loans, rural development areas and more? A great local lender will be aware of all the loan programs available in the area and will take the time to find the program that works best for you instead of the Quickest, easiest program for the lender. One the most favorite phases a Realtor wants to hear is ””The loan has cleared underwriting- you are CLEAR TO CLOSE”! 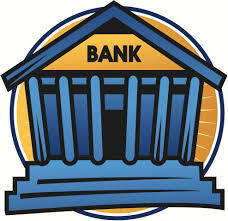 Underwriting is the process in the loan where all the documents and requirements are reviewed. Does the buyer’s income match what is on the application? Did the seller make the required repairs? Did the appraisal meet value? Underwriting is the biggest landmine in the loan process. At a big national lender, the underwriter might be in a different building- maybe in a different town! Imagine the delay of faxing or emailing documents to some generic email address and waiting for your turn in the process. With a local lender, the underwriter is usually in the same office, and has a personal relationship with the underwriter. I can’t tell you how many times I’ve has a local lender hand deliver documents to underwriting and wait for a decision. Think that will happen with a National lender juggling a hundred or so more files? Short and simple. Not all, but many of the National lenders will “fee you to death”. They may quote you great rates, but be careful of hidden processing or review fees. They can add up to hundreds if not thousands of dollars. Your local lender has a strong motivation to see your loan to closing. Because they have a personal relationship with you, they are vested in you. You are much more than a file number. And, they don’t get paid if you don’t close. How is that for motivation. A local lender is going to take a hands-on approach to your loan process as opposed to moving a file through a huge corporate loan factory. In fact, many local lenders will actually attend your closing in person to make sure the loan actually funds on time. I’ve seen it take several hours after documents are signed for some of the national lenders to actually fund the loan. Once you have closed on your loan, chances are it will be bundled with other loans and sold to investors. In fact, it’s not uncommon for your loan to be sold several times during its term. Several local lenders will continue to service your loan (handle your payments) even after they sell the loan. Again, think of the advantages of having a local contact, versus some national servicing company that is processing maybe millions of payments a month. Again, don’t think I’m bashing the big National lenders. Most of the time transactions go well when using them, but why not keep your business local. We strongly believe in supporting our local economies. Is Real Estate like Playoff Football? Merry Christmas from The Erhardt Group!